The season has unfortunately passed in most locations across the country, but this is an oustanding time to reflect upon and recognize, the mature buck tendencies that you experienced during this past season. Unfortunately, it is also an easy time to fall into an annual trap of scouting efforts! I have experienced that it is very easy to be pulled into the mystic lure of giant rubs, massive scrapes and enormous shed antlers. While each of those has a place in predicting mature buck tendencies for the coming hunting season, they can also be so captivating, that they can ultimately hinder you from experiencing one of the scouting strategies that can provide you with the greatest amount of consistent success. What is that scouting strategy? To learn how to use past mature buck tendencies, to predict the future thoughts of an aging giant. *Would you like to learn more about thinking like a mature buck? 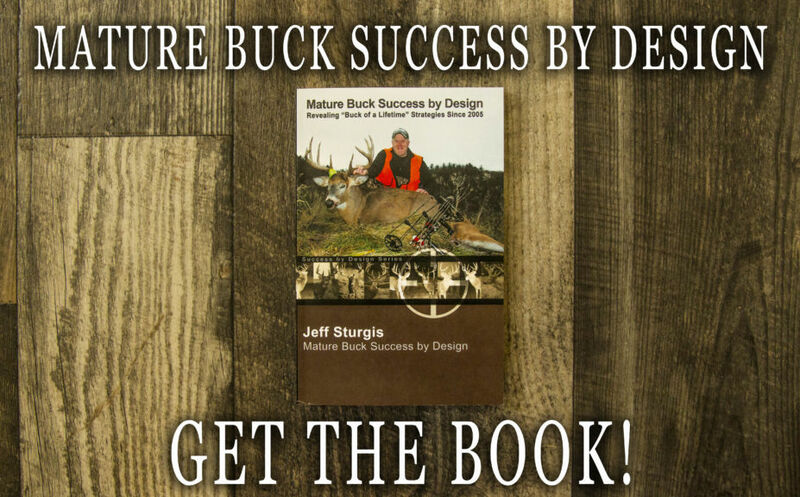 Then make sure to check out my recently completely trilogy of whitetail strategy books, "Mature Buck Success by Design", which details how to scout, prepare, forecast for and consistently kill mature bucks. The accumulation of mature buck sightings and sign, throughout the season, is a great base for your off-season scouting efforts to discover, so that you can make an educated hunting decision. However, sightings and sign alone, is not enough. Connecting the dots of buck movement will only offer a glimpse into the mind of an old recluse. Afterall, the history of sign is only reflective of mature buck tendencies of the past, which may or may not be a good indication of future movements. Instead of simply reading sign, the most important scouting activity that you can practice is to ask yourself one basic question: Why? 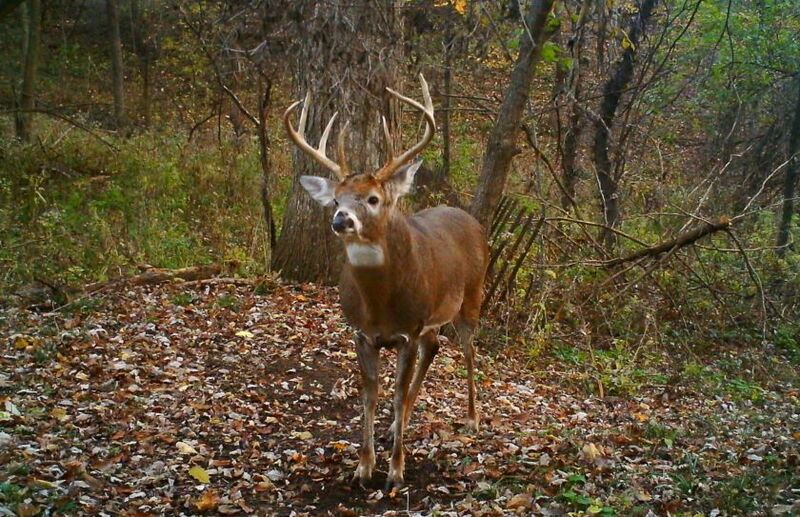 Mature Buck Tendencies Change: Timber harvest, shifting food plotting or ag practices, neighboring influences and the weather can have substantial impacts on the patterns of mature bucks from season to season. Specific mature bucks grow and die as well, often leaving hunters scratching their heads when those same, historical patterns cease. While past experiences are great for explaining previous patterns, they can sometimes be inaccurate for revealing future movements unless you ask, "Why"? And when you ask that simple little question, you can begin to experience the ultimate potential for predicting the future thoughts of a mature buck. *So after you learn to predict a buck's tendencies before he even thinks of doing them himself, WHEN will he move? 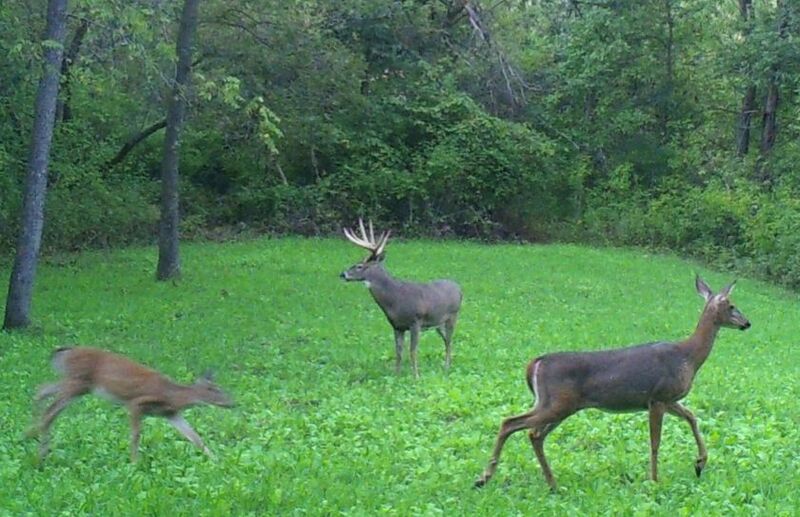 For using various conditions to successfully choose the right day to hit your favorite stand, make sure to check out "The Top 5 Mature Buck Movement Triggers". -Where a mature buck hangs up prior to entering a woodlot, food plot, ag field or any other "line in the sand" of habitat change, often reveals a great deal about your tendencies, the patterns of other bucks, as well as his own. Mature bucks slow downs and stop, often for several minutes or more at a time, before locations that typically experience higer levels of hunting or herd related levels of stress. What he is telling you by his actions is that he understands the risk, and that he his going to make darn sure that the coast is clear before preceding. This is a great opportunity to seek to find an understanding of why he feels that way. Can you decrease the level of risk in his eyes? Can you exploit that level of risk? Can you set him up to be lulled into a false sense of security by allowing the risk to settle down over time? Those are each questions that you should ask yourself before hanging a stand in the area, accessing through the area, or even making habitat changes. A buck could be revealing to you that he feels very secure in the location that he stopped, but then at the same time he could be telling you that he is about to venture into a portion of the woods that he has experienced a undesirable level of risk or stress, in the past. I find that these areas are often close to the outside of his bedding area, just before an area that could be considered a remote, wooded, and high quality habitat staging area. I also find that these areas hold very little sign, as a buck has been taught by the stress of hunters or other bucks, to practice a higher level of observation than action. 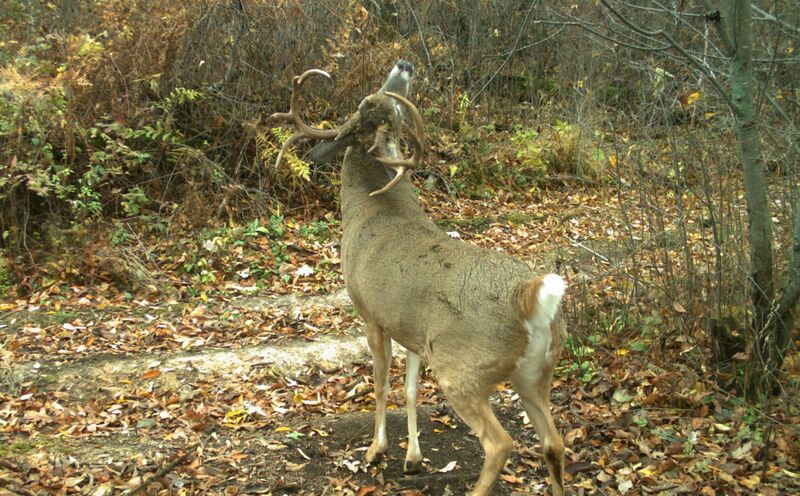 -After a mature buck hangs up, he procedes, often with a display of aggressive superiority. Once he moves, he then enters a portion of the habitat that he desires to assert not only his dominance, but his eventual relaxation as he slips into what he feels is "his" portion of the habitat. The area between where a mature buck hangs up, and where he displays his dominance, should be recognized and treated as one of the most important pieces of habitat in the woods. These areas typically combine to create a gateway to his afternoon dinnertime movements and if you over-pressure the location, he may be gone for the rest of the season. It is very important that you place stand locations to the side of these heavily wooded staging and hang-up areas, and not within the area itself. I have experienced that once a buck feels comfortable leaving an area he hangs up within, he proceeds with power and strength, while creating dozens of rubs and several quality scrapes. He is telling you that he is king, this is his portion of the woods, and that no other buck better get in his way. Can you imagine if you give him a soft grunt if he is too far outside of bow range? Don't be suprised if not only does he head your way, but he does so while raking every tree along his path. I find that this is a much better location to possibly grunt a buck over to my location, than when he is hanging up just outside, while attempting to observe and assess the level of potential risk. -Once a mature buck has observed, assessed and entered his inner staging area, he will finally be confident and relaxed in his actions. Following a brief period of time where he will sometimes add to his rubs or freshen scapes -but not always- he will will proceed with a great level of confidence in his steps. Can you reflect on your own experiences of the step-step-step of a cruising giant? The pass thru areas are the portions of habitat that a mature buck feels extremely comfortable within, acting as long corridors of safe and secure movement. The hang up, display areas and pass thru portions of the habitat are all critical to recognize and promote within the areas that you hunt. The pass thru area is important because it often represents the pieces of your woods or cover that will allow a mature buck to transfer through to major evening food sources, during shooting hours. The buck sign will be scattered, but will assist you in determining a highly defined direction of movement. A pass thru is an area that may be better to leave alone, because any hint of hunting pressure will terminate the entire line of movement, from bedding area, to the area he hangs up, to his inner staging area and finally where he eventually feeds during the late afternoon. Scouting for mature buck tendencies has as much to do with a buck's thoughts, as it does the sign that he leaves. 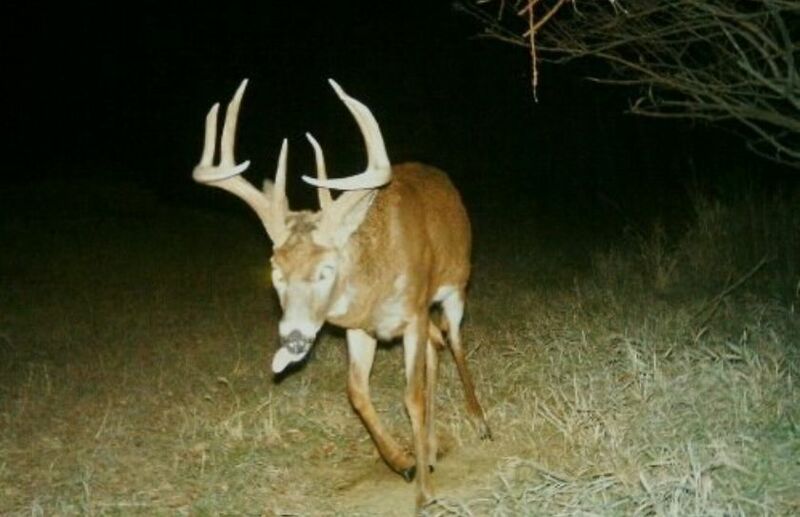 While the location and frequency of sign can change drastically from season to season, a particular buck's reasons for moving from point A to point B, rarely changes. Whether you are considering habitat changes, altering hunter access routes or placing your next favorite stand set up, knowing the pieces of a buck's thought process first, will keep you consistently honed into a path of predictable, future hunting success. Although you will never know with 100% certainty what a buck will do next, if you can place yourself into the mind of a mature buck, you can drastically increase your odds whenever you enter the woods, to match wits with the independent thoughts of an experienced old monarch. 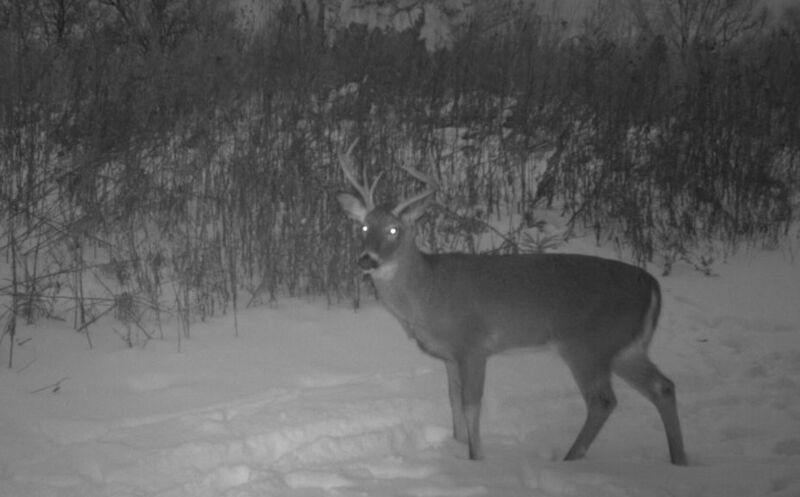 Can you outthink a mature buck? I believe it is easy to do so if you continually ask yourself Why, during your next scouting trip, trail cam collection, shed hunt or buck movement observation. Buck sign and observations reveal the past, and when you begin to pull the pieces of a mature bucks preferred movement tendencies together, I have experienced that you can recognize his future patterns, before he even thinks about making them himself.